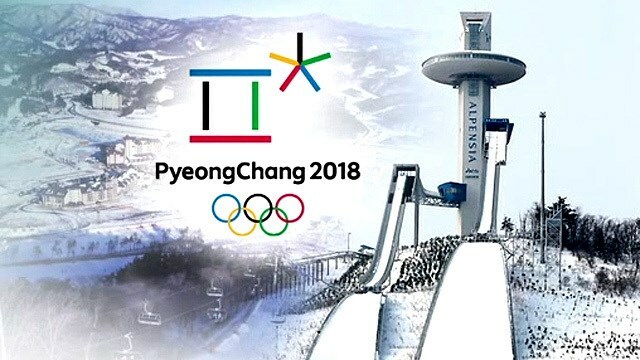 ISLAMABAD: In a new diplomatic overture for peace and harmony, a senior diplomat of South Korea has urged North Korean leadership to send their team to take part in the upcoming Winter Olympics being held at Pyeongchang, South Korea, in February next year. “The Republic of Korea (South Korea) invites the Democratic People’s Republic of Korea (North Korea) to participate in the 2018 Olympics and even offered to compete as a single Korean team. 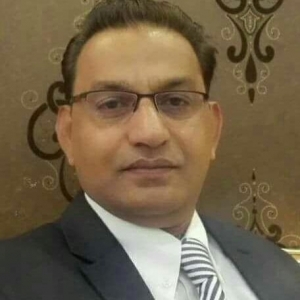 This sincere gesture is aimed to foster a climate of peace and goodwill,” said Mr Jinwook Kim, the Chargé d’ Affaires of the Embassy of the Republic of Korea to Pakistan in an exclusive chat with Pakistan Today. He said in a few months, Korea’s friendship with all nations on Earth will be revitalized when athletes from around the world gather in Pyeongchang, Korea, for the 2018 Winter Olympics in February. These will be followed by the Pyeongchang Paralympics in March 2018, he added. “South Korea invites North Korea to participate in the 2018 Olympics. We even offer North Korea to compete as a single Korean team. This sincere gesture is aimed to foster a climate of peace and goodwill,” said Mr Jinwook Kim. He said that since the Pyeongchang Olympics will take place just 100 kilometres from the De-Militarized Zone (DMZ), the de facto border dividing the two Koreas, which is one of the most heavily weaponized areas on Earth. “It is our hope that the positive and peaceful spirit of the Olympics, the epitome of friendly competition and camaraderie, will help to soften hearts across the DMZ, which (South Korean) President Moon Jae-in referred to as the ‘symbol of division and confrontation on the Korean Peninsula,” he said. The envoy asserted that it was his sincere wish that the 2018 Pyeongchang Olympics and Paralympics act as a catalyst for peace among nations, not only on the Korean Peninsula but also around the world. “We wish peace for all countries which have felt the pain of the absence of peace and suffered deeply from the onslaught of terrorism, violence and war,” he said. Mr Kim says that this profound truth is the reason sports legends become national heroes in most countries, including Korea and Pakistan. “Many readers in Pakistan may not have heard much about Pyeongchang but Pyeongchang is not a stranger to Pakistanis. Every year, since 2004, Pyeongchang has hosted the ‘Dream Program’ which allows 11 to 15-year-old youth from warmer climate countries to experience winter sports. Pakistani youth have been participating in this program every year since 2011,” he added. Korea also hosted the 1988 Olympics in Seoul. It was where the boxing legend Hussain Shah won the first individual Olympic medal for Pakistan. This feat was immortalized in the film “Shah”, which was released on Pakistan’s Independence Day in 2015. 30 years later, in February 2018, Pakistan will participate in the Winter Olympic for only the third time in history and I would like to wish Pakistani Olympians the best of luck. “I hope Pakistan can also achieve its first individual Winter Olympic medal in Korea. It is in the same spirit of friendship and camaraderie that Korean President, Mr Moon Jae-in, during his speech at the UN General Assembly on 21st September 2017, expressed his desire for the 2018 Pyeongchang Olympics to become a symbol of peace. “Koreans are wholeheartedly looking forward to welcoming people from all over the world with the hospitality and culture. 91,000 Koreans applied to work as volunteers at the 2018 Pyeongchang Olympics. Korea hopes the 2018 Olympics will be regarded as the Peace Olympics as well as the cultural Olympics,” he added. Korean artists are promoting the 2018 Olympics and the Paralympics through their art, especially through cultural performances. One of the groups taking part in this effort, “Jeong Ga Ak Hoe”, came all the way from Korea to Pakistan to share their magic with Pakistanis in October 2017. These very young but talented, internationally acclaimed musicians won the hearts of audiences in Islamabad and Rawalpindi by not only reinterpreting traditional Korean music in a modern way but also singing iconic Pakistani songs like “Ye Watan Tumhara Hai” and performing in sync with traditional Pakistani musicians. It is the efforts of groups like these, and the performances of legends like Hussain Shah which add to the magical, enchanted aura of the Olympics. Add to this the natural beauty of Pyeongchang mixture of modern and traditional Korean architecture blanketed in snow and you can imagine the winter wonderland of the 2018 Olympics. “If you have been thinking about visiting Korea, this is the right time for you to visit Korea, experience the magic of the Olympics and support the Pakistan team. I have faith that Korea and Pakistan can both further enhance their friendships with each other, and with the world, at the Pyeongchang Olympics. “I also hope the spirit of peace and cooperation of the Olympics ushers in a new era of harmony and prosperity in both our countries and around the world,” concluded Mr Kim.